In scar-related ventricular tachycardia (VT), regions of slow conduction serve as a substrate for reentry, and thus are optimal targets for catheter ablation. The current strategy of catheter ablation of scar-related VT is to ‘search and destroy’ this slowly conducting tissue by invasive electrical catheter mapping. 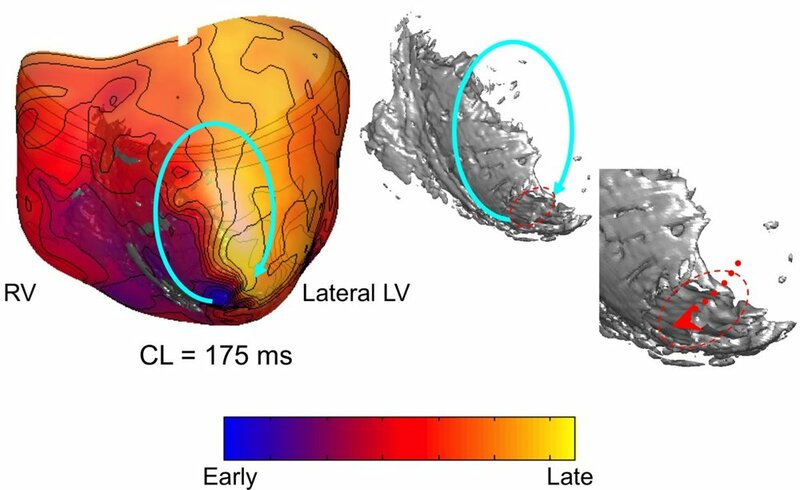 My contribution was to demonstrate that noninvasive cardiac MRI with late gadolinium enhancement (LGE) can identify regions of slow conduction in scar-related VT. Of note, Ref 2 has become a landmark paper that created a new field of MRI-based electrophysiology intervention.